It’s our mission to give the gift of conservation to the next generation. Children are born curious. They are interested and excited to know about the natural world and what happens in it. Educating children about the importance of environmental conservation will help ensure the long-term health of our planet for generations to come. 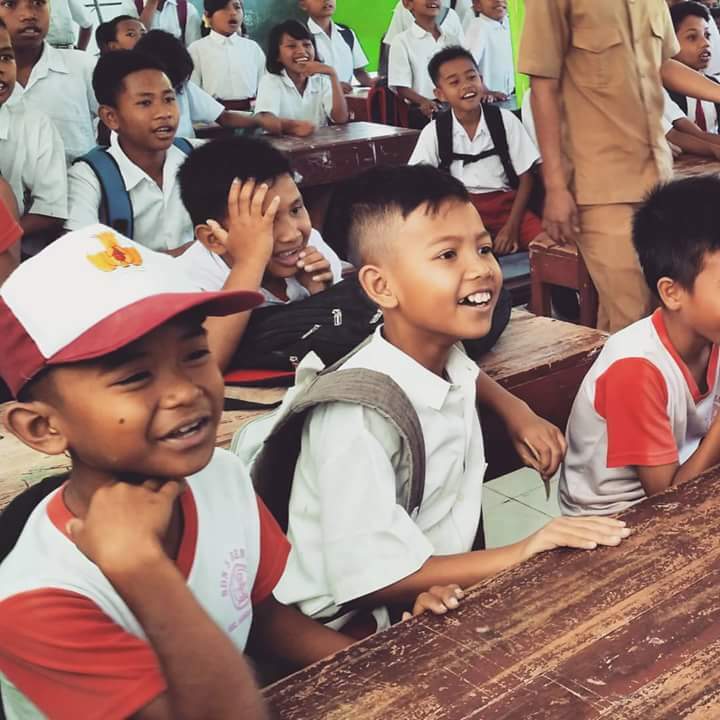 Every Saturday morning, our Research Team visit the school on Gili Air to teach the children all about the world of conservation. Our teaching methods vary between games, drawing, textbooks and open discussions to suit all styles of learning. 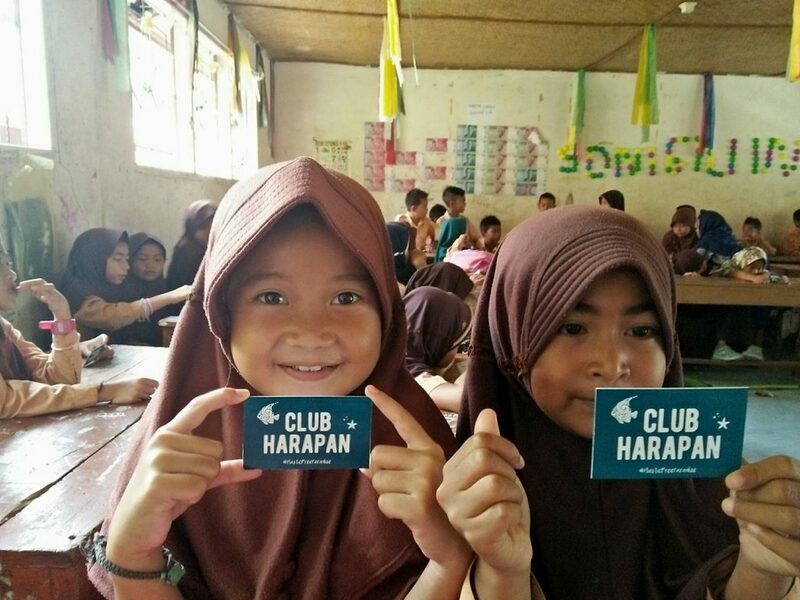 We call these classes “Club Harapan” which translates to “Club Hope” in Indonesian. Every time the children attend a conservation class or join one of our other activities they receive a stamp. When they have a full membership card they will receive the PlasticFreeParadise kit which contains a bamboo straw, a reusable bag and a reusable bottle. 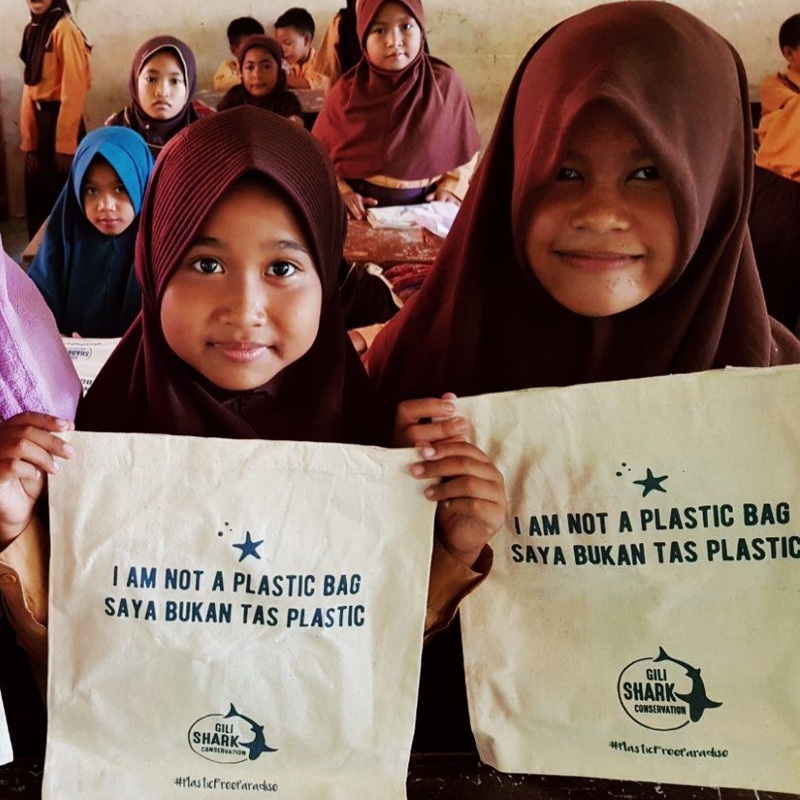 It’s a great feeling to give the children the tools to say ‘no’ to plastic. We believe that with the right knowledge and tools, this next generation will have a great impact on the future, making better choices regarding diverse lifestyle habits in order to maintain their paradise. We also believe they would inspire others by their actions. And when their turn comes, teach others. The diverse marine life around the Gilis is another key topic we share. We teach the kids about sharks, turtles and all the wonderful creatures we see. We educate them on why these creatures are such important inhabitants of their island. They learn about everything from the different fins on a shark to the ocean food chain, to how old sea turtles are! Because the Gilis are a very special habitat for endangered sea turtles, we make sure that these children understand how important it is to keep these turtles safe! This includes lessons about what sea turtles eat. And let them know that plastic is not something that a sea turtle should ever eat, so it’s especially important to keep it out of the ocean!